The mission of the SCSEP is to provide employers with trained, motivated workers who are over the age of 55. This is an Equal Opportunity Program and is funded by the U.S. Department of Labor and overseen and administered by the Louisiana Governor’s Office of Elderly Affairs (GOEA). 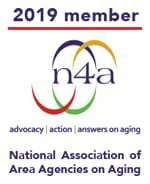 Capital Area Agency on Aging operates as a sub-grantee of GOEA. PARTICIPANTS: The SCSEP offers part-time temporary on the job training for qualified older adults. Participants are paid stipends while developing new skills and experiences at community based non-profits and local government agencies. HOST AGENCY: The SCSEP acts as the facilitator for community based non-profits and local government agencies that have open positions and are interested in providing part-time temporary on the job training to qualified older adults. How do I become a Participant/ How do I apply for SCSEP? To apply you must first, register with your Business and Careers Solution Center (the local Workforce Development Center/unemployment office). Then download and complete the attached Senior Employment Application (Senior Employment Application). Follow the instructions on the application and submit it, along with the verification of registration (that you received from the Business and Careers Solution Center). If you are eligible and there is no waiting list, you will be contacted by a SCSEP Team Member. How does my organization become a Host Agency/How can my organization become a Training Site for SCSEP workers? If your organization is interested in becoming a SCSEP Host Agency (Training Site), simply complete the attached application (Host Agency/Site Application). Submit the application along with the 501(c)3 status and the Federal Identification Number (FIN) of your organization to the address on the bottom of the application. If your non-profit organization or government agency is determined eligible, a SCSEP Team Member will contact you for an appointment.